We frequently get requests for charter flights to Nantucket during the summer months, but there’s one particular event on the social calendar that garners extra attention: the Opera House Cup Regatta. Held on the third Sunday of every August, this prestigious event has been a favorite of the yachting community for more than 45 years. Hosted by Nantucket Community Sailing, the 46thOpera House Cup gets underway on August 19, 2018. It holds the distinction as being the first all-wooden, single-hulled classic boat regatta on the East Coast. The Opera House Cup is named after the Opera House Restaurant in Nantucket. The establishment was a favorite gathering place for the sailing community, and as a way to honor it (and it’s owner Gwen Gaillard), they proposed a sailing race for wooden boats. The rest is history. In addition to being the finale of Nantucket Race Week (the two-day Nantucket Regatta is held on Friday and Saturday), the Opera House Cup is part of the Panerai Classic Yachts Challenge. It is the largest international circuit of regattas reserved for classic yachts. Nantucket Memorial Airport (KACK) features a 6,300-foot asphalt runway capable of accepting heavy jet charters such as theEmbraer ERJ-145. It is centrally located on the island, and is just 10 minutes from the town of Nantucket. 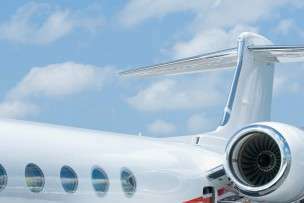 To book charter flights to Nantucket so you can watch the action at the Opera House Cup, call Stratos Jet Charters at 888-593-9066, or request an online quote.